Some will dismiss Murray Lerner’s collection of Bob Dylan performances from the Newport Folk Festival as nothing more than outtakes conveniently cobbled together for a quick cash-in. (Indeed, this footage has shown up spliced ’n’ diced in various history-of-rock docs and Lerner’s own hootenanny time capsule, 1967’s Festival.) Whether or not the release of this compilation right now is fueled by opportunism can be debated, but the magnetic power of the concert film’s chronology and structure is damn near inarguable. In a season rife with Dylanology, this timeline counts as required viewing: You actually get to witness Bob the Bard morph from modest folk hero to pop-cultural phoenix. Seeing the baby-faced troubadour, clad in the de rigueur uniform of dungarees and boots, delicately picking through “North Country Blues” in 1963, reminds you that the once and future king was just another earnest young man obsessed with Woody Guthrie. 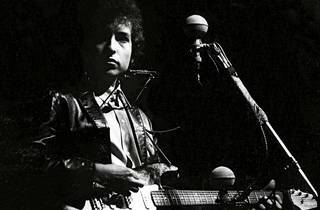 One year later, Dylan’s stance is defensive, his wordplay far denser, and the crowd’s worship now frighteningly rabid. Then comes 1965, and all barriers dissolve amid feedback and boos. 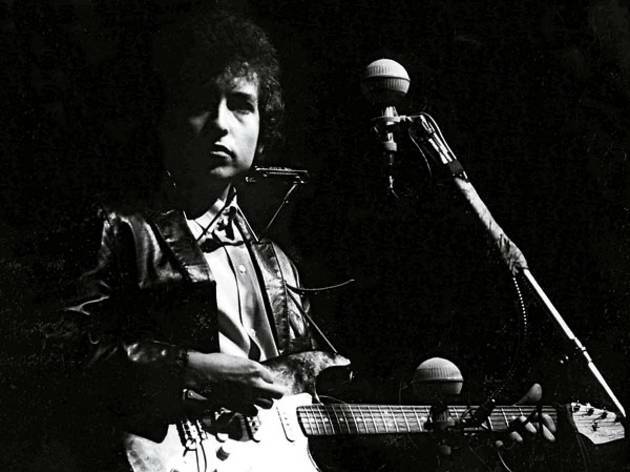 In just three chapters, Lerner concisely delineates Dylan’s evolution. After that, there was no looking back.